What costs you should expect, and why. NB: if you’re a returning customer, please go over this page again as I’ve included new categories and informations. Thank you! Unfortunately, hand knitting is not a speedy craft. Moreover, unless we're talking about plain stockinette or very basic lace, I'm not a very fast knitter. I charge three things for each project: the time spent designing/knitting it ($8.5 per hour), the cost of the yarn + shipping and the cost of shipping your item from France ($30). No overhead, and I don't charge for the time spent in ceremony around your item of course. The reason I qualify each order in terms of time rather than size is that size is not the main thing to take into account: intricacy and yarn weight are as important, if not more. The same size garment can take insanely different amount of time depending on whether it's knitted with lace weight and covered in cables/lace or knitted in bulky yarn in plain stockinette. Lace doubles its sized when blocked. Cables take forever. A tight knitted fabric will take more time than a loose one, for the same finished size. This is a hood I knit last year. This is the original pattern I modified to replace the lace border with a lace and cables one. 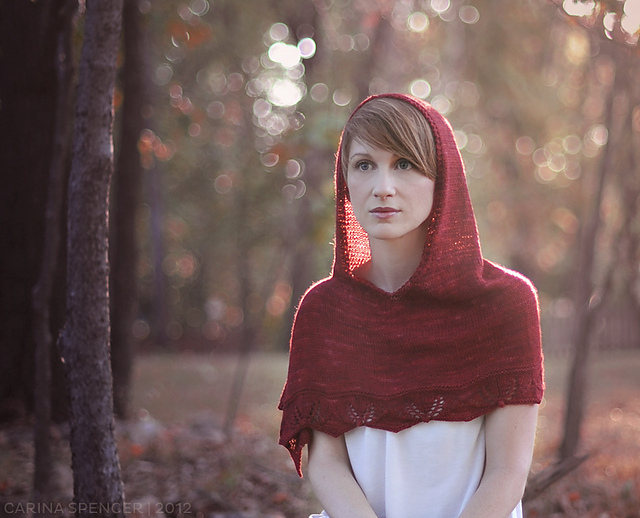 This is another hood, roughly the same size, without cables or lace and knit in bulky yarn. I spent roughly 50 hours knitting the hood on the left, mostly because the yarn is a light weight and the cabled border was finicky enough to take about 25h. If I had knitted the pattern as was (middle picture), I estimate it would have taken me roughly 27h/30h. Knitting the hood on the right would take me anywhere between 10 to 15h. Are you beginning to see where I'm getting at? For the same size garment, the price can vary bewteen $85 and $425, not including the cost of yarn. The good news is that means I can use those variables to match your budget for most items, unless you want something very large. Anywhere between $300 and $750 (cost of yarn included). Those can include small/medium items if they are intricate, infinity scarves, some colorwork itemps, medium sized knit shawls or large lace shawls, some ponchos and baby sweaters, etc. Between $750 and $1100 (including cost of yarn). Those include items that are usually both largish and intricate. Complicated colorwork, cables, complicated lace, etc... Anything large tight knit in light weight yarn. Most sweaters. Smaller handspun items. Examples below. $1100 and above (cost of yarn included). 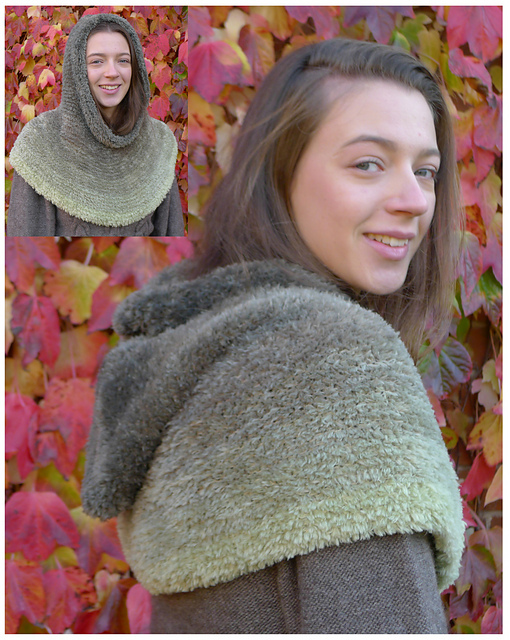 This for very large, very intricate items, or large handspun items. Blankets, coats, etc. Because I’ve been solely knitting orders for the last two years, my yarn stash has not diminished at all ! So I thought this year I’d introduce a new category: yarn based projects. Instead of designing around the item you want, you would choose one or several yarns from my stash, I would select patterns based on weight of yarn and how much yardage I own, and would only charge you half price for the yarn (and you would save on shipping costs since I already own it!). If I don’t have enough yardage to make something you want, I would either pair the yarn with another from my stash, or buy a matching or contrasting skein. This is a good option if you’re not set on a specific item, or if your budget is limited. You can see the yarns I make available for this on this page. Below are a few examples. That's it! I hope this gives you a way to better define what you want :) I use a timer app to track exactly how many hours I spend on each project, so the final price is not an estimation: I charge for the exact time I spent working on it. When estimating for your project, I will always give you the highest estimate. Then, if I spend less time than anticipated, it's a good surprise for you :) And if I spend more time, it's on me. Now to make an order request, go back to this page.